…we believe that in times where each individual values rights much higher than duties, it is of great importance that as many people as possible help others with no regard to personal advantages and thus give inspiration for real community spirit. 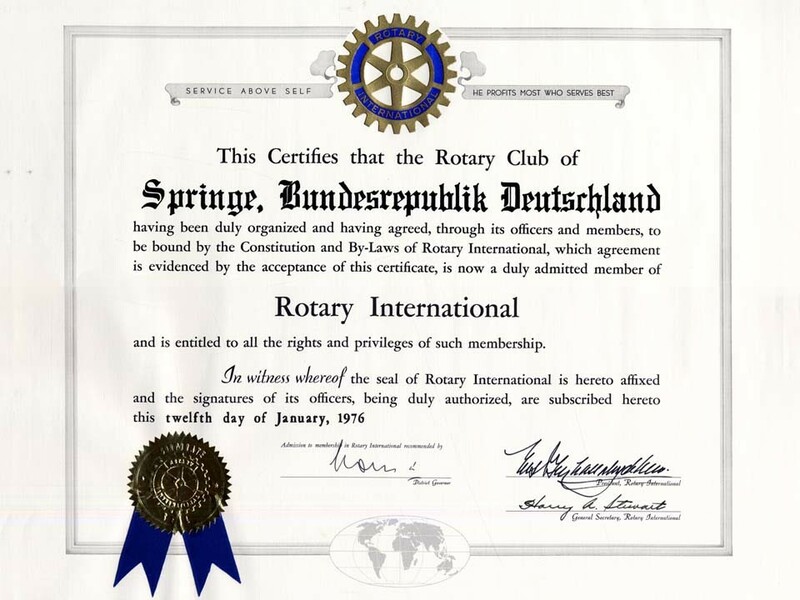 The city of Springe could certainly exist without the Rotary Club. However, in the long run life would be less rich without the commitment of citizens as best practiced in the Rotary community."